Should We Really Have Fluoride In Our Tap Water? Interesting guest post today as I’ve heard snippets from both sides of this controversy, with most recently my dental hygienist favoring tap water with fluoride. Read on and come to your own conclusion. For years, fluoride has been touted as the key to maintaining good dental health, leading to many countries adding fluoride into their water supplies. However, in recent years, studies have shown far from being beneficial, fluoride may actually be harmful to teeth and to our overall health. Here’s the lowdown on it that you might not know. Fluoride is a naturally occurring substance, and can be found in foods like eggs and tea leaves. Consuming these foods allows fluoride to enter the bloodstream, where it is then absorbed by teeth and bones. Fluoride protects teeth from decay by preventing teeth from being eroded by the acid that is produced when sugars in food react with bacteria in the mouth. Fluoride treatments, where teeth are coated with fluoride, allow the teeth to absorb fluoride, which then forms a protective coating on the teeth. Certain areas add fluoride into their drinking water for the same purposes. According to reputed dentists however, fluoride is not necessary for good dental health. More recent research has also found that the addition of fluoride to tap water does not necessarily prevent cavities. Communities with unfluoridated water have actually had lower rates of dental cavities than those with fluoridated water. 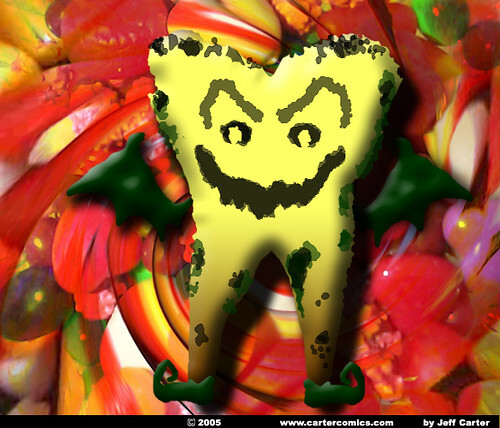 The main reason for dental cavities is actually diet. A diet high in refined sugars and carbohydrates has been found to be a greater cause of cavities than the lack of fluoride in drinking water. Ultimately, what ensures the health of our teeth is not the presence of fluoride in our drinking water, but rather our diets and the way we look after our teeth. Dentists recommend staying away from sugary foods, and brushing and flossing the teeth after every meal. 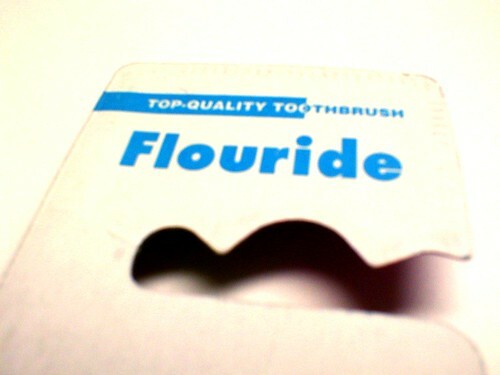 In fact, exposure to too much fluoride at a young age can result in a condition known as dental fluorosis, which manifests in the form of white spots or streaks on the teeth. More severe conditions can cause darkening of these spots and stains, and can even cause the surface of the teeth to become pitted and rough. This is one of the causes of cavities in later life, as food particles begin to get trapped in the tiny crevices caused by fluoride eroding the enamel. The damage that fluoride can do is not limited to our teeth either. Fluoride accumulates in our bodies over time as our kidneys are unable to secrete all the fluoride consumed. For younger children, their kidneys are less efficient and hence more fluoride is stored in their bodies. This may result in wide variety of health problems, including but not limited to: dementia, bone cancer and disrupted thyroid function. There is also the ethical issue of fluoridating the water supply. It is tantamount to feeding people medicine without their consent or knowledge, no matter the good intentions behind the decision. Some feel that personal decisions such as dental care do not come under the jurisdiction of the government. As such, several countries such as Japan have thus decided to stop adding fluoride to the supply of drinking water. It seems that many countries might follow the path of Japan soon! Viki Bettis is a dentist in Bristol, Virginia. In her numerous posts, she has brought to light some key factors which are leading to the deterioration of dental health and has given useful tips to avoid dental problems.